Staged in parallel with the Viennafair the electrifying Expo PARKFAIR is held for the second time this year and will present its theme-based ARTE NOAH 2012 exhibition on the third-floor parking deck of Vienna’s Stadion Center. 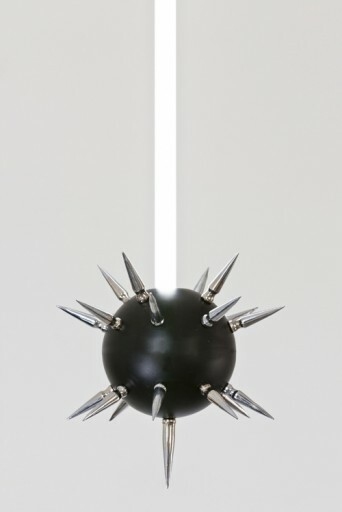 Over five days, 49 contemporary artists explore the subject of “Judgment Day 2012” through location-specific interventions, installations, performances as well as video and media art – an innovative discourse on contemporary Austrian art, which reflects on economic, social, and ecological awareness and responsibility. 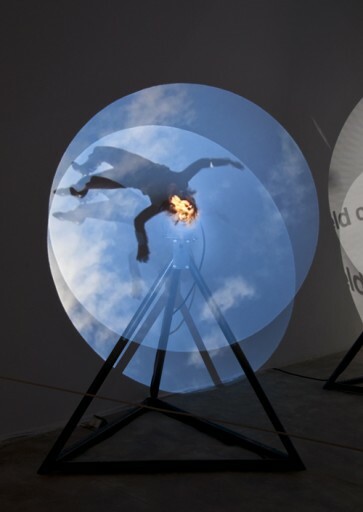 The independent art fair was conceived by VATNC – Visible Audible Tangible Network Cloud, which is to say artists Iv Toshain and Matthias Makowsky – as a hybrid between art sales fair and curated art show. Renowned artists such as Gelitin, Hans Weigand, Eva Schlegel and the late Franz West will exhibit their work shoulder-to-shoulder with young, up-and-coming artists. This year, PARKFAIR also presents art school graduates in cooperation with the University of Applied Arts Vienna. Most appropriately, given the subject matter, this year an excepti onal artist will join them on board the ARTE NOAH. Nonja Utan, the female orang-utan, made headlines in the 90s as a painter and photographer and is one of the most recognizable residents at Vienna’s Schönbrunn Zoo. Nonja’s works take viewers back through the ages to a time when humans had not yet evolved. In a post-religious and post- ideological society, they point us towards our origins and the evolution of visual effects. They may help us trace the basic outlines of the future or end of the world. Would a possible ecological catastrophe be the kind of revelation that would add beliefs to the knowledge of our technological era? Belief in a process of rethinking the relationship between man and environment in the 21st century. The modern apocalypse is not a matter of faith, it has become thinkable and doable. Not as a myth, but as a calculable destiny. It is not a religious concept, but has long become a technological option. While questions about the fate of our planet focus on scientific, political, and economic developments, we still attribute to art the role of an additional system of understanding, an indispensable means of reflection and a guiding principle. So, let’s act now – there’s still a lot that can be done! This year PARKFAIR, will open with a concert by Klangforum Wien, the renowned austrian contemporary music ensemble.